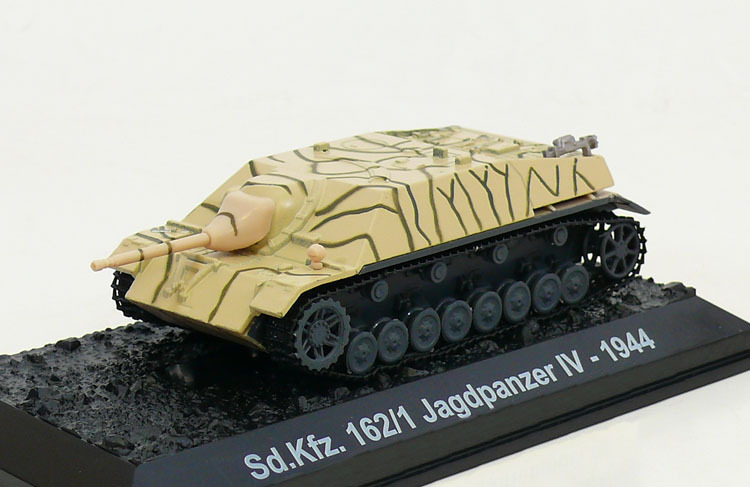 The Jagdpanzer IV, Sd.Kfz. 162, was a tank destroyer based on the Panzer IV chassis built in three main variants. 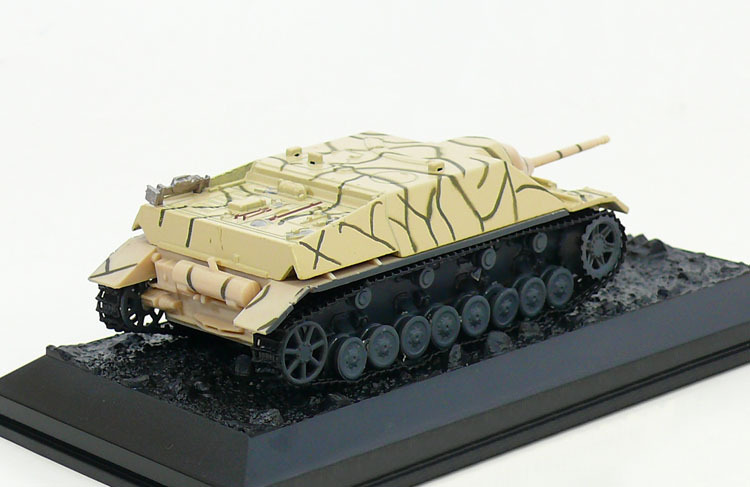 As one of the casemate-style turretless Jagdpanzer ("Hunting tank") designs, it was developed against the wishes of Heinz Guderian, the inspector general of the Panzertruppen, as a replacement for the Sturmgeschütz III (StuG III). Guderian objected against the needless, in his eyes, diversion of resources from Panzer IV tank production, as the Stug III and Sturmgeschütz IV were still more than adequate for their role. was one of two variants armed with the same PaK 42 L/70 gun. The (V) stands for the builder, Vomag. The most produced version, with 930–940 built in August 1944 - April 1945.